How the did the band form in the wake of The Manhattan Love Suicides splitting? The Manhattan Love Suicides split in July last year and for the next couple of months me and Caroline did nothing much at all. Caroline had finished all her vocals on the Ailsa Craig album, I’d contributed a bit of guitar to a handful of tracks on there, but suddenly there was nothing to do. It was actually quite a depressing time. We felt The Manhattan Love Suicides had made its point and it was time to move on, but we weren’t exactly sure what we were going to move on to. So we just started writing some new songs. Next thing we knew we were recording them with Pete from Horowitz, then the debut single came out, then we put a band together, recorded and released some more singles, played a couple of gigs… and here we are today. Tell us about your track on the Odd Box Records Bless Me Iggy For I Have Sinned EP. It’s called “Fever Van”. We wrote that just a few weeks ago, and we’ve played it at the three gigs we’ve done so far. It’s got that chugging, pounding feel about it that we really like. It’s just the same three chords over and over, all the way through the song. It’s quite noisy in parts, but it’s also poppy. You can definitely get on the dancefloor and jump about to it. You recently played your first ever gig in London. How did it go? It went pretty well. We were actually a bit nervous, mainly because there are six of us in this band, and that creates more opportunity for things to go wrong. But then we reminded ourselves that ramshackle and unpredictable gigs are always a lot more fun anyway, so we suddenly felt more relaxed about everything. It’s good when you see a band and it feels as if it might fall in on itself at any minute. We got a good crowd at that first gig. The sound could have been better, but then again, I personally always think that way. You’re close friends with The Pains of Being Pure at Heart who you recently supported at the Buffalo Bar. How did that come about? The gig couldn’t have been simpler. We just got a message from Sean at Fortuna Pop! asking us to play the gig as The Pains had requested us to do it. Me and Caroline said yes to it before we even checked to see if the rest of the band could play it. There was no way we would’ve turned that down. We’ve been good friends with The Pains for about three years now. We’ve played gigs together in the US and the UK, slept on their floors, drank all their beer. We always have a good time when we see them and it’s always great to just hang out with them and catch up on what we’ve all been doing. You’ve released a few EPs so far rather than a debut album. Why did you take this approach rather than recording a long player? After we’d recorded the first three tracks that appeared on the debut single, we just decided to get them out there as quick as possible for people to hear, rather than sit about and wait until we had enough material for a debut album. We also really like 7” singles. They’re a great snapshot, and you can get what you’re trying to say across. We’ll actually be starting work on the debut album though pretty soon. Reverence, Severance and Spite is due out in October on Squirrel Records. What can we expect from the compilation? All the single tracks released so far, and much louder than they appear on the vinyl. That’s one good thing about CDs – you can release your music without compromising the volume. We like to give people value for money too, so we’re recording a bunch of new songs to sit alongside the single tracks. There’ll be about 16 or 17 tracks on there in total. You’re supporting The Primitives at the ICA in a few weeks time. Were they an influence on the band? Definitely. The Primitives have just always been there. They were one of the first bands I really got into when I was about 14 or 15 years old, buying all their albums and singles from a great little second hand record shop in Leeds that’s now sadly closed down. Every band me and Caroline have been in has been compared with The Primitives. In a way, it feels like we finally should be sharing a stage with them. We’re all really looking forward to that gig. 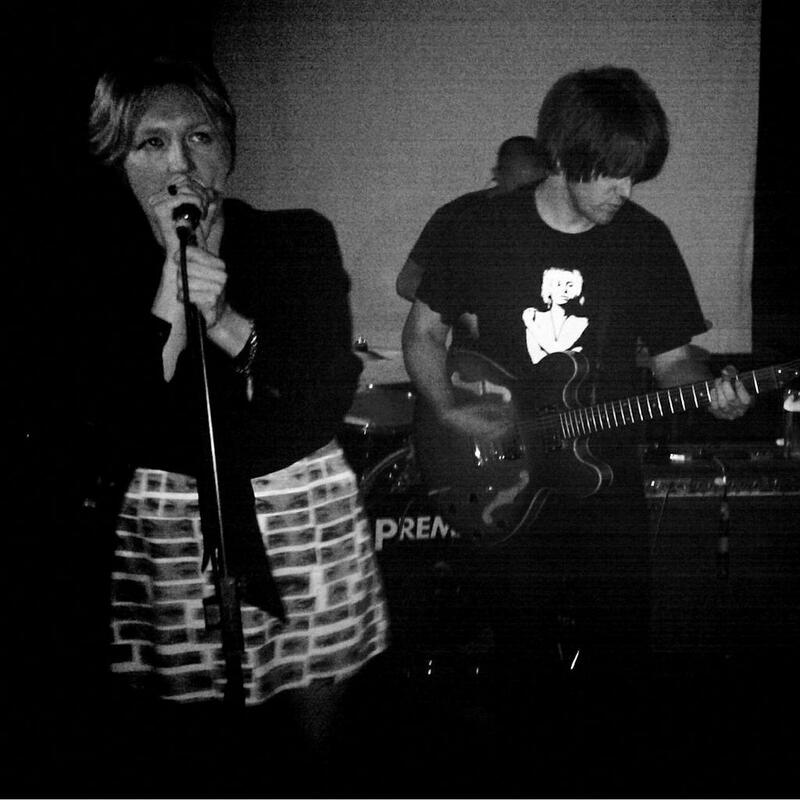 They’ve followed a spate of mid-eighties bands that have recently reformed (The Wake, The Vaselines, Pooh Sticks etc.). 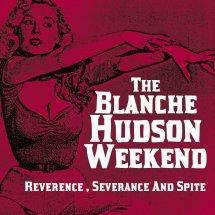 Could you ever see either The Blanche Hudson Weekend or The Manhattan Love Suicides reforming in 25 years time? To be honest, no. I never say never, but both myself and Caroline believe that when a band we’re in splits up, it should always remain that way. I’m not against other bands reforming if it works for them though, as long as they’re not just doing it for the money. And finally, when will we hear “Grip of Fear” live? Not sure. We’ll definitely play it at some point, but every time we try to play it when we get together, it sounds a bit… well… crap. I’m starting to think the version we captured in the studio that ended up on the single was a bit of a fluke.